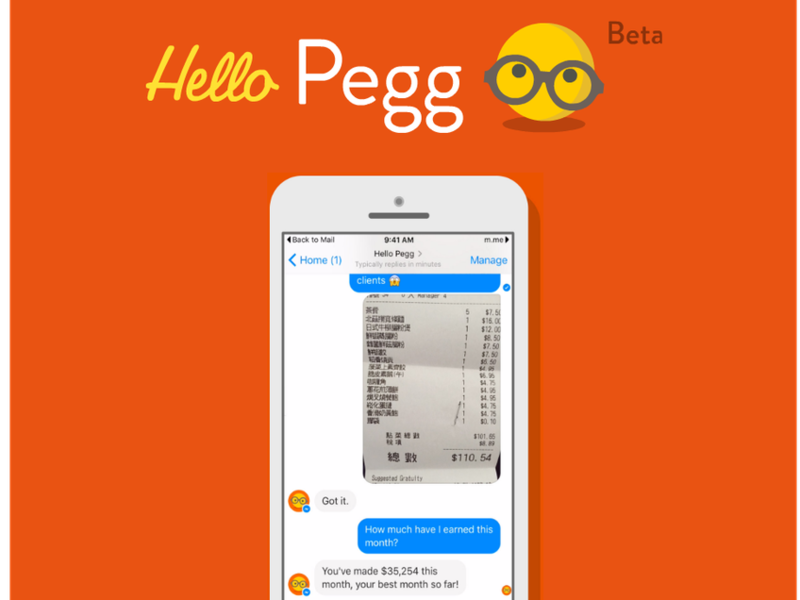 Hi I'm Pegg. A smart assistant who lives where you work and lets you manage your business admin through your favourite messaging apps. Do you want to log an expense and attach a receipt? Need to find out how much you've spent or earned? Just ask. And for Sage One customers I have even more tricks up my sleeve, like telling you who's late paying an invoice.